We study thermodynamic properties of dyonic black hole and its dual field theory. We observe that the phase diagram of a dyonic black hole in constant electric potential and magnetic charge ensemble is similar to that of a Van der Waals fluid with chemical potential. 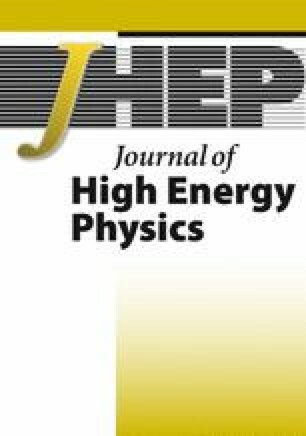 Phase transitions and other critical phenomena have been studied in presence of magnetic charge and chemical potential. We also analyse magnetic properties of dual conformal field theory and observe a ferromagnetic like behavior of boundary theory when the external magnetic field vanishes. Finally, we compute susceptibility of different phases of boundary CFT and find that, depending on the strength of the external magnetic field and temperature, these phases are either paramagnetic or diamagnetic. N. Altamirano, D. Kubiznak, R.B. Mann and Z. Sherkatghanad, Kerr-AdS analogue of tricritical point and solid/liquid/gas phase transition, arXiv:1308.2672 [INSPIRE]. E.A. Larranaga Rubio, Stringy generalization of the first law of thermodynamics for rotating BTZ black hole with a cosmological constant as state parameter, arXiv:0711.0012 [INSPIRE].